Bioware, the creators of epic sci-fi games like the Mass Effect series are back with another open-world multiplayer action game titled Anthem. In a couple of weeks, players will be able to access the beta version of the game and check for themselves what the developers have to offer this time around. Likened to Destiny, Anthem will have players explore open world areas with arms. You can play the game as a single player or tag along with your friends in a co-operative multiplayer scenario where you will take on challenges and missions. As when you log in to the game, you’ll have the option of selecting one of four suits called, ‘Javelins’ which grant you different abilities, depending upon which you select and how you want to play and progress in the game. A third person shooter, you’ll face hordes of enemies and threats along your journey that surround the central hub of Fort Tarsis. The main idea of this game seems to be able to play and progress with your friends to share the experience as a group, earning XP and collecting items to customize and develop yourself. 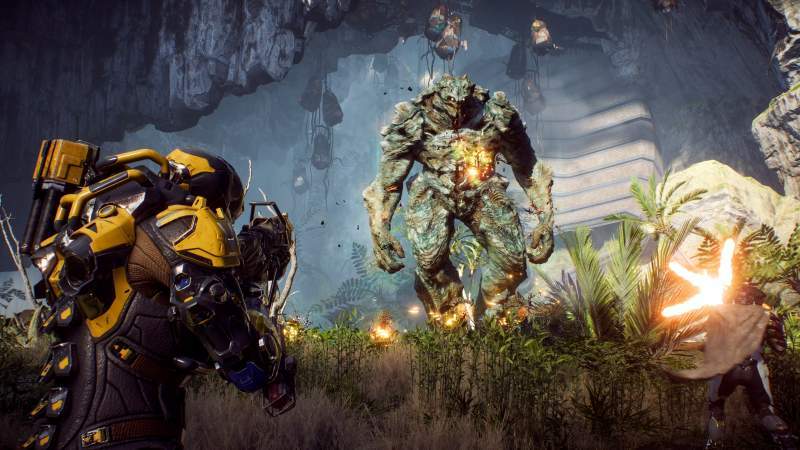 Anthem will have two limited-time beta access in the near future, these will give you a basic idea of what the finished game will be about and you can earn XP and rank up to level 15 which seems to be the upper limit for the beta. You’ll also earn a special reward for taking part in the beat version of the game which you can flaunt being one of the first players to be part of this game. To access the VIP Demo, you’ll need to subscribe to EA / Origin Access on PC or, you can pre-purchase the game on PC, PS4 or Xbox One for early VIP access. If you pre-purchase through Origin, or the PSN / XBLA marketplace, you will automatically register for the VIP Demo. However, Bioware has stated that the progress you make in the beta version will not reflect in the final game where you will need to start from scratch but you’ll be pretty familiarized by the time of the release, so this should not be much of a problem for most.